As the nation continues to observe “Women’s History Month,” Florida Atlantic University has announced that it was recently accepted as an official chapter of the Association for Women in Science (AWIS), a global network inspiring bold leadership, research and solutions that advance women in STEM (science, technology, engineering and mathematics). AWIS was established in 1971 to support female scientists, and advance diversity and gender equality. FAU’s AWIS chapter will be dedicated to promoting diversity as well as supporting women in scientific careers. The FAU AWIS chapter is composed of 25 members and partner organizations across five colleges at the university: Charles E. Schmidt College of Science, College of Engineering and Computer Science, Schmidt College of Medicine, Dorothy F. Schmidt College of Arts and Letters, and the Harriet L. Wilkes Honors College. At the national level, AWIS has engaged major players in STEM including the National Institutes of Health, National Science Foundation, the American Association for the Advancement of Science, the National Aeronautics and Space Administration, Congress, The White House, the United Nations, among others. The FAU AWIS chapter was formed under the leadership of co-chairs Daniela Nikolova, Ph.D., a senior instructor in the Department of Mathematical Sciences in FAU’s Charles Schmidt College of Science and associate research professor (retired) of the Bulgarian Academy of Sciences, and Julie C. Servoss, M.D., M.P.H, associate dean for diversity and inclusion and an associate professor of integrated medical science in FAU’s Schmidt College of Medicine. Emmanuelle Tognoli, Ph.D., an associate research professor in FAU’s Center for Complex Systems and Brain Sciencesis serving as secretary, and Lianfen Qian, Ph.D., a professor of mathematical sciences and associate dean of academic affairs in the Schmidt College of Science, is serving as treasurer. “Efforts to promote women within our institution have far reaching consequences that will provide a path for other minorities to gain equality, support, respect, success and appropriate credit for their contributions,” said Servoss. While still underrepresented, the number of women in science has continued to rise in many professional and academic areas in the United States, with the exception of computer science and mathematical sciences. 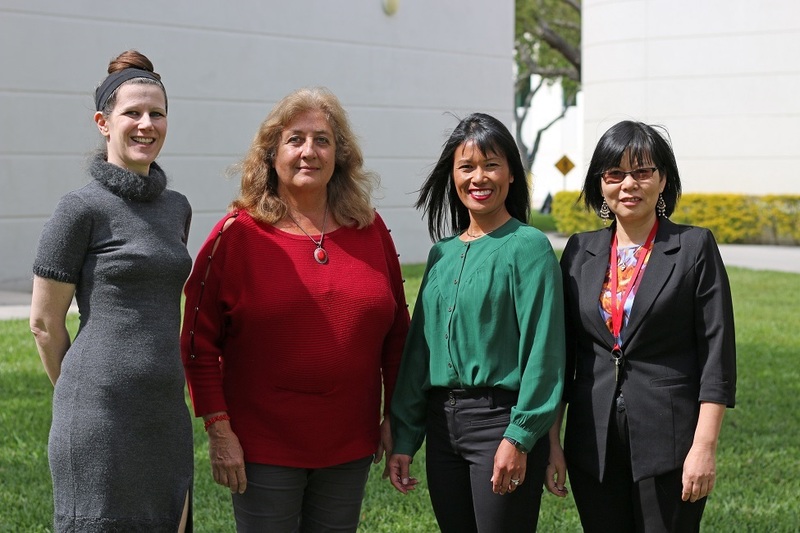 FAU’s AWIS chapter is composed of women and men dedicated to supporting women’s entry and ultimate success in scientific professions, including academic positions. The chapter welcomes faculty and staff from the traditional STEM disciplines as well as medicine (STEMM) and the arts and humanities (STEAM). FAU’s Office of the Provost also has launched ADVANCE, a transformational catalyst program, which is supported by the National Science Foundation and is aimed at generating organizational change for gender equity in STEM academic professions. FAU’s ADVANCE program, which works very closely with FAU’s AWIS, is directed by Kate Detwiler, Ph.D., an assistant professor in the Department of Anthropology in FAU’s Dorothy F. Schmidt College of Arts and Letters. The FAU chapter of AWIS can be contacted by email at awis.fau@gmail.com or for more information, visit science.fau.edu/awis.